You’re pregnant! Congratulations! 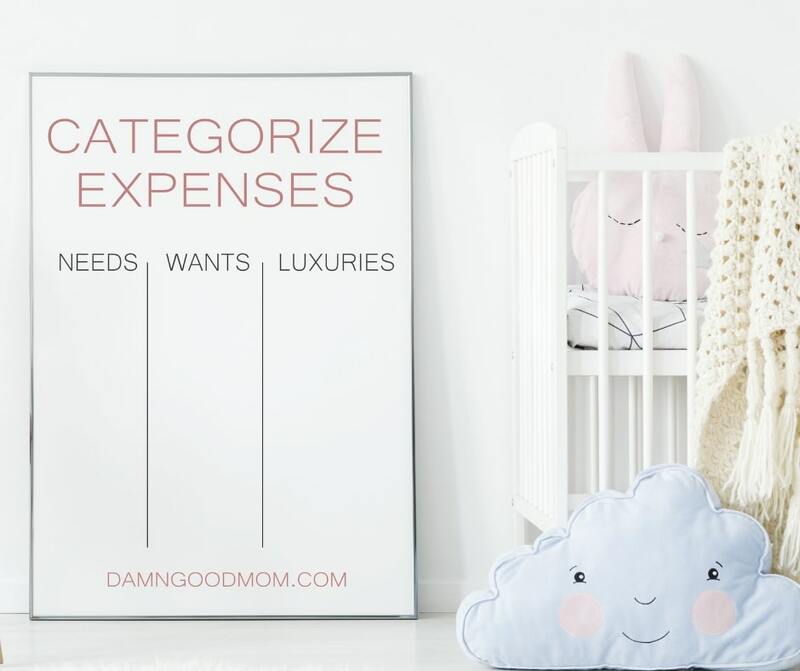 You may have a long list of things you want to get done before baby arrives and hopefully learning how to create a budget is somewhere on that list. Budgeting can help you keep track of your expenses, manage money responsibility, and it can help improve your financial relationship with your partner. When you are growing a family, all these things matter. Starting a budget can feel overwhelming especially when you are pregnant, hormonal, and exhausted. But, it’s important. Taking care of all the details of your budget before you give birth can help relieve unnecessary stress, during a time when you should be enjoying your role as a new mommy. 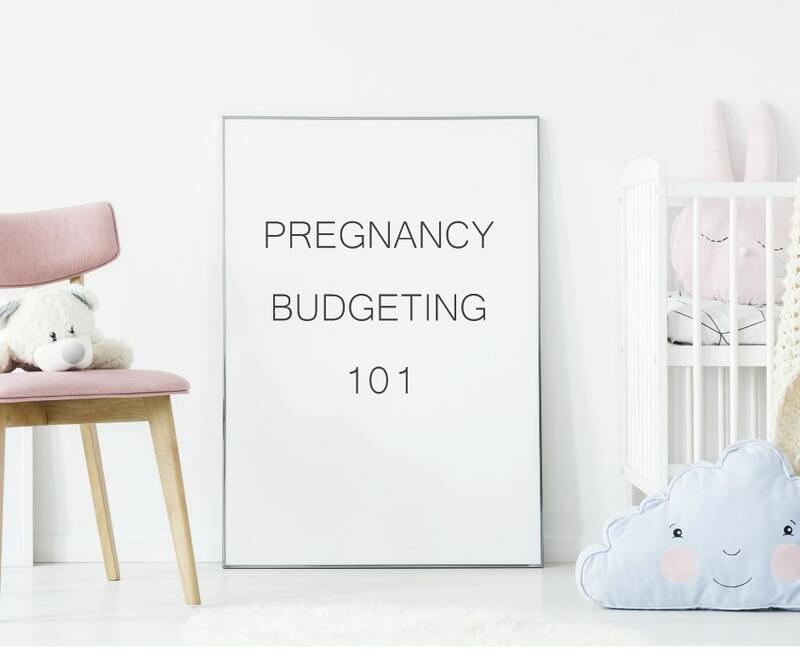 So, I’m sharing my pregnancy budgeting guide that is uncomplicated and doesn’t require a ton of time OR extra money. All you need is pen and paper, though I highly recommend a bullet journal or free printables you can find in the online shop. Let’s get started. You can do this! If you don’t have any goals, this process can be pointless. So take a moment and think about what you want. 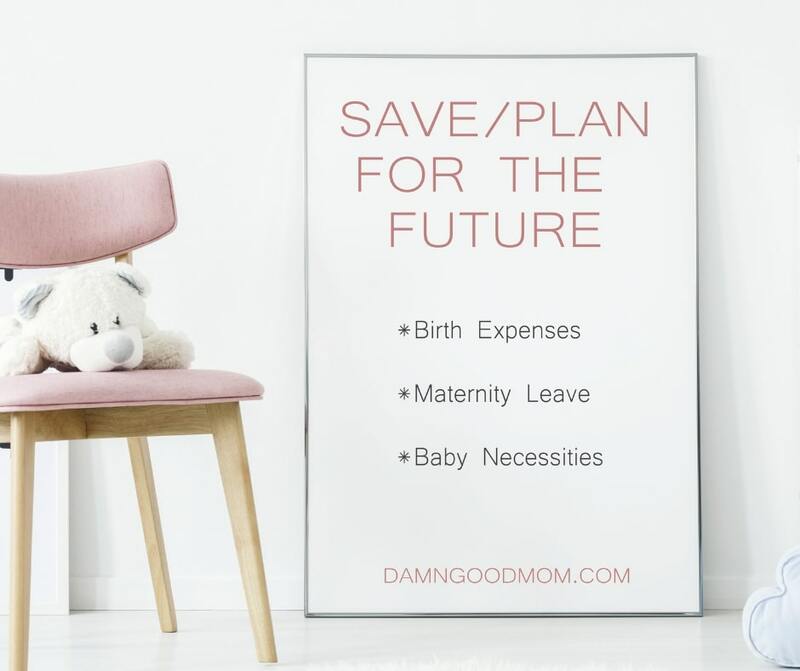 When I sat my husband down to create a pregnancy and baby budget, I had very specific goals. I wanted to ensure we had all our bills paid each month. I wanted to ensure we had a plan to continue saving, while also paying medical prenatal care costs. I wanted to see if we could afford me taking twelve full weeks of maternity leave. These are the things I wanted. What do you want? 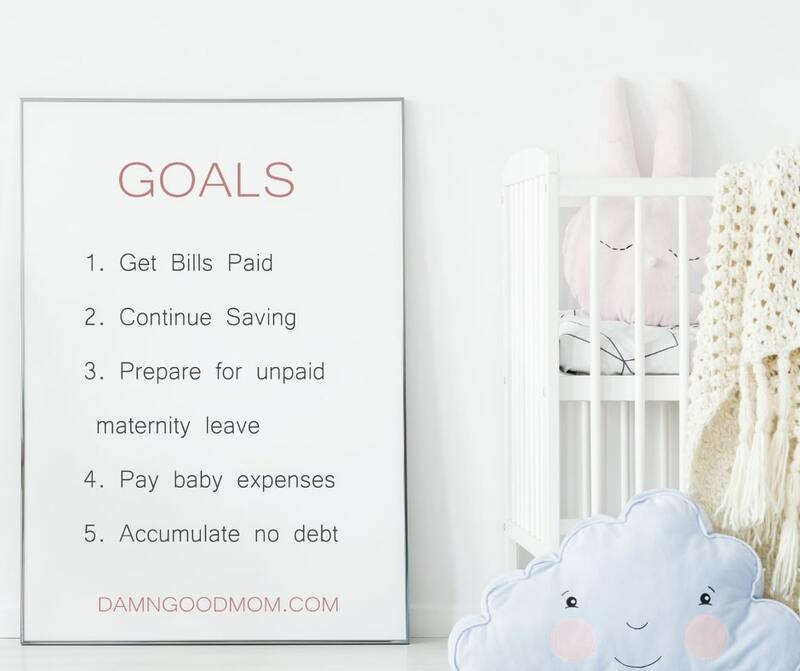 Having an idea of what you want to accomplish with your pregnancy budget can help keep you motivated to revisit your monthly budget each month. Communicating these goals with your partner can keep you both on the same page financially. Once you know what you want, write it down, so that you can revisit your goals each month. After you know why you are budgeting, it’s time to look at money. 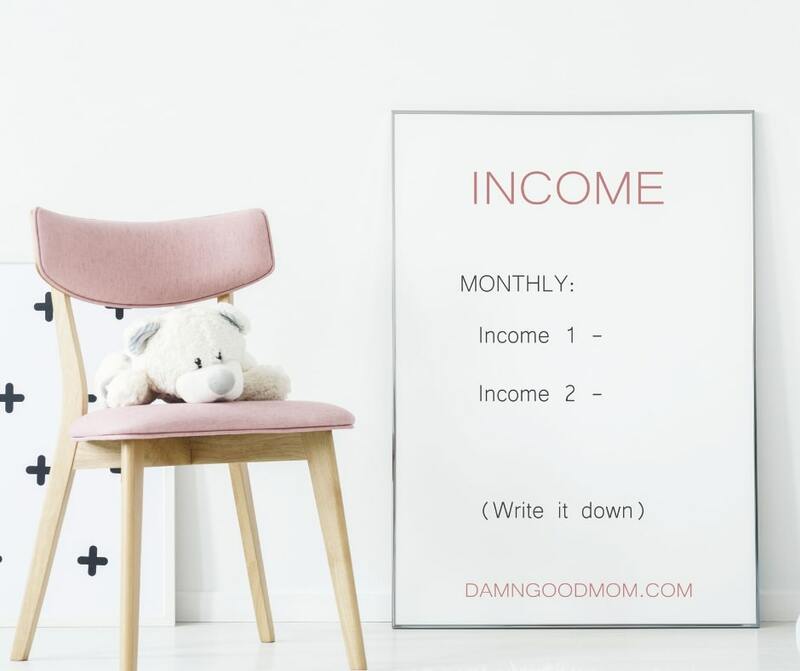 First, you’ll want to write down the total monthly household income. It should be clear to you and your partner how much money is being earned each month. Ensure you are writing down your take home income, not your pre-tax earnings (I remember looking at my checks thinking, I would love to bring home my pre-tax earnings – we can dream). If you don’t earn the same amount of money each month, write down the lowest amount you’d expect to earn. For example, if you work in retail and your hours vary from 20-30hours, write down the income you’d expect to bring home, if you only worked 20 hours. Or if you work from home and earn $200-$600 dollars, you’ll want to write down $200. Now, create a list of ALL your current expenses. Include every household and outside expense you can think of, then look over a few of your past account statements to ensure you haven’t missed any expenses. This list is likely to be much longer than your income list (bummer, I know). Include monthly expenses, quarterly expenses, and yearly expenses. The quarterly and yearly expenses are easily forgotten. Add line items for recurring miscellaneous expenses like gifts. This process can give you a pretty accurate picture about how money is being spent in your household. Now, organize your expenses into a few different lists. Create a list of bare necessities. This would include mortgage or rent payment, electricity bill, water bill, insurance etc. Create a list of comforts you don’t want to give up. This would include hair salon and barber visits. Create a list of luxuries. This would include things like cable, weekly coffee shop visits, subscription services. This is an activity, I highly recommend doing with everyone in the household who is involved with the finances. You can use this printable or a plain sheet of paper cut up. 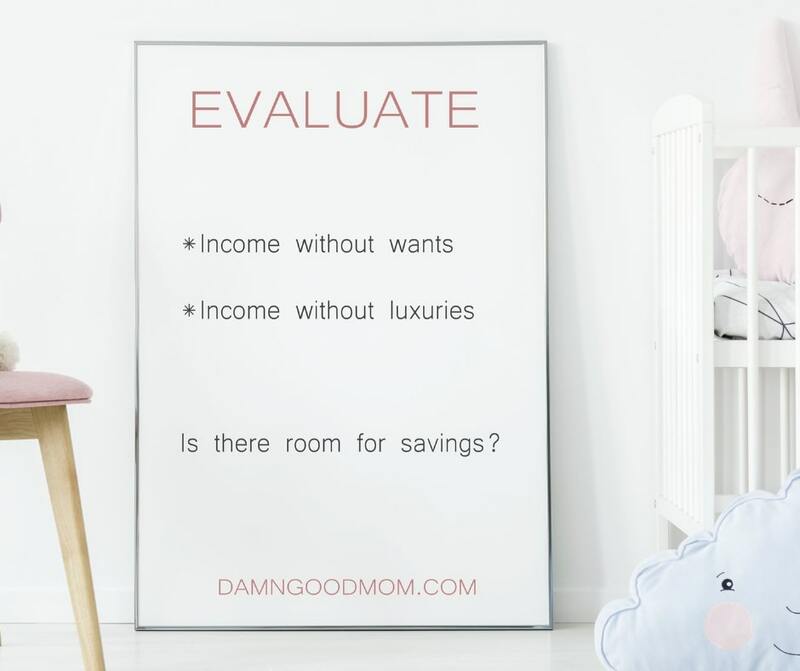 Once you have a good idea of where the money earned is being spent, write down how much of the household income is remaining after all expenses are paid. Repeat this step, but this time remove the amount you spend on luxuries. This will give you an idea of how much more money would be remaining, if you cut out all the money spent on items and services you deem to be luxuries. This is where my budget differs from many others. 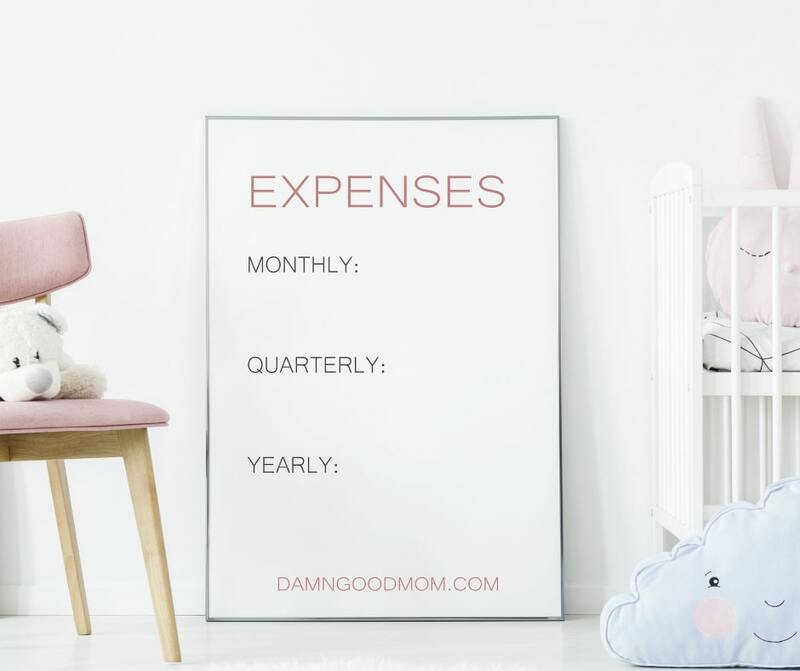 As a pregnant mama, you have to consider expenses that you don’t currently have. In step 5, you learned how much money you have remaining after your needs have been met. Now consider, how much of that money should be saved for future expenses. If you are interested in knowing exactly how much my birth cost head over to this post. Some women leave their jobs voluntarily after having a child. Some women have unexpected circumstances that may cause a break in employment. 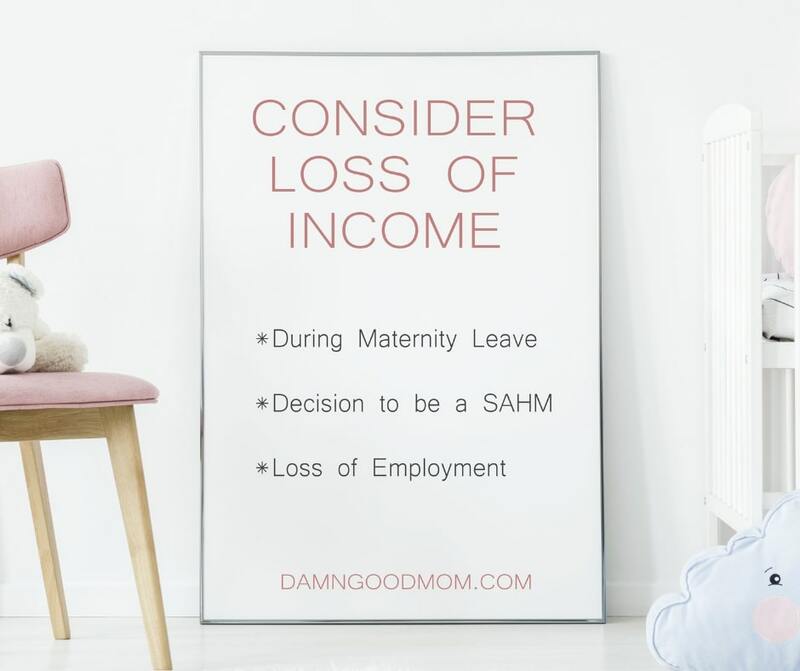 Either way, it’s not a bad idea to consider what your finances would be if there is a loss of income post-pregnancy. Does your partner earn enough to cover household finances? Do you have savings that could cover the household expenses? If so, for how long? Do you a have a plan to become a stay-at-home-mom indefinitely? 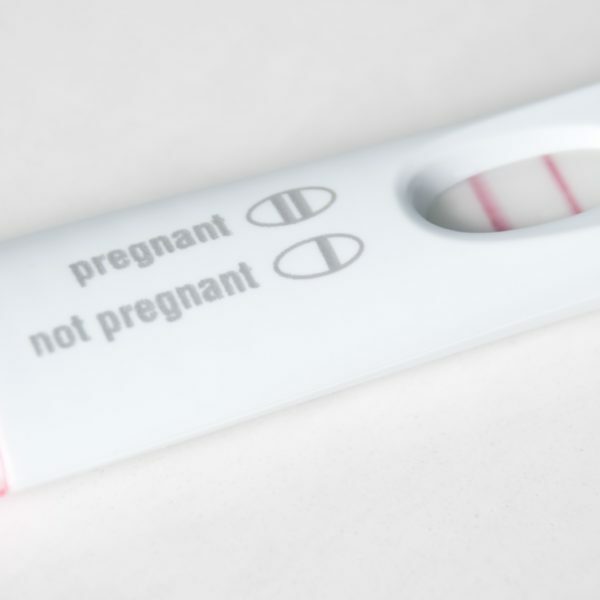 These are things to talk over before baby arrives. It may seem weird but a monthly ‘money meeting’ where you talk about things you did well the previous month and things you can do to improve your finances the next month can help make money less of an issue in a relationship – even if that relationship is just with yourself. Money isn’t everything but having a good money management system in place, while growing a family is priceless. Organization and consistent communication is key. 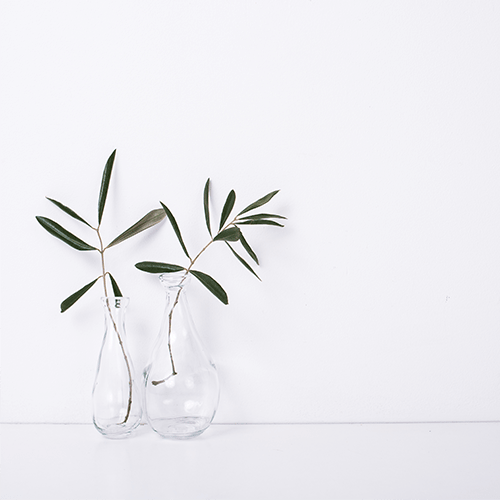 In one of our recent money meetings, we learned that we were doing great at keeping miscellaneous expenses low but we also realized, we needed to get a much better handle on our grocery spending. We talked about ways to make change and now we have a new grocery budget and a printable hanging in our kitchen to keep track. 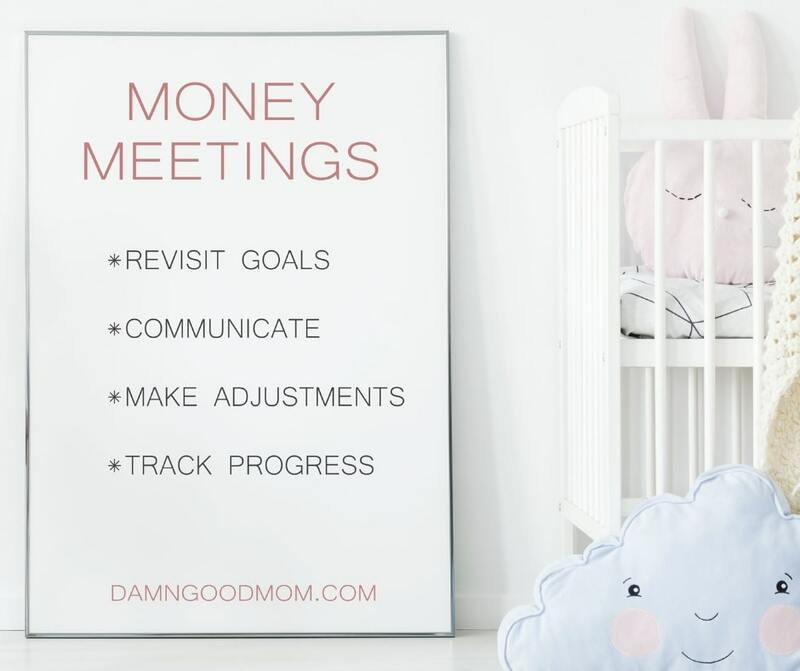 The money meeting isn’t about placing blame, it about making improvements, setting new goals, and communicating effectively about finances. It’s an important part of any budgeting system you choose. When I was pregnant, creating a budget was a priority because I had out-of-pocket expenses for prenatal care. I planned on taking twelve weeks of unpaid maternity leave and I had to consider all the new expenses that my family would incur, when bringing our baby home. If you have some of the same responsibilities, a budget a great tool. Having a budget in place before giving birth gave me peace in my early postpartum days and I hope it does the same for you! You deserve a system that helps you plan and save for baby with as little financial stress as possible. GRAB YOUR FREE PREGNANCY PRINTABLES FROM THE SHOP AND BE SURE TO FOLLOW ALONG ON PINTEREST FOR MORE CONTENT. Congratulations on your growing family and best of luck ! !